Roland has released 3 brand new synth modules and a 25 keyboard extension that recreate some of Roland’s classic synth from the 80’s and beyond. 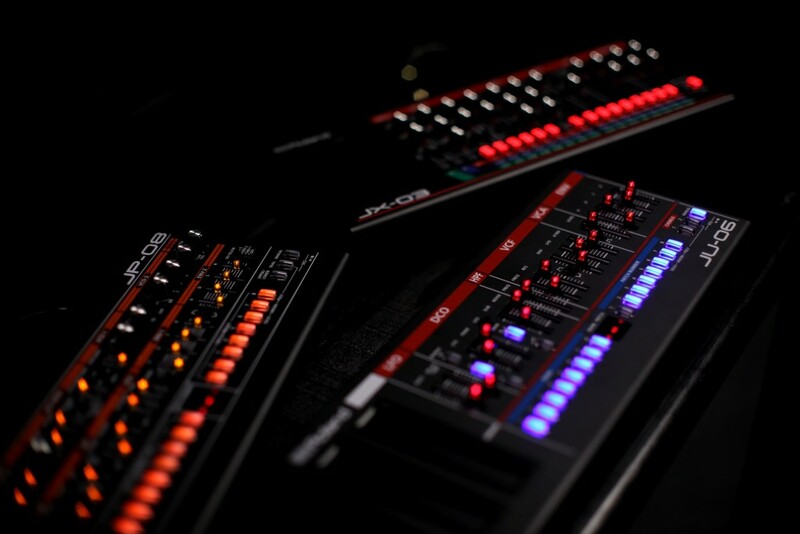 This weekend we were given a chance to play the brand new Boutique series from Roland along with all Aira releases. 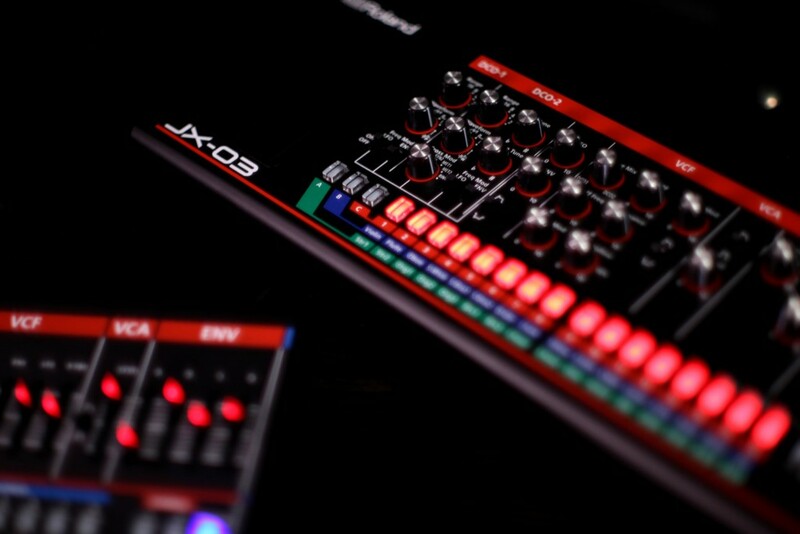 The Roland JP-08, Roland JU-06 and the JX-03 are all really capable little synths and great remakes of the old classics. Could not believe the sound coming through the studio monitors from these little boxes. The Boutique series is that Roland says they’re powered by Analog Circuit Behavior (ACB) – that’s the same modeling employed in the AIRA series, and it’s been pretty well-received by producers everywhere. The Synths have a metal outer casing making them durable and safe to carry anywhere. They can either be powered by USB or if you’re on the go, 4 AA batteries will keep this babies alive and bumping for enough time to get a solid studio sesh in. They all come equipped with an onboard sequencer, and basically an entire audio interface, including MIDI and USB recording capabilities. You can chain together all three of the Roland Boutique Modules to either mono, polyphonic, or unison. 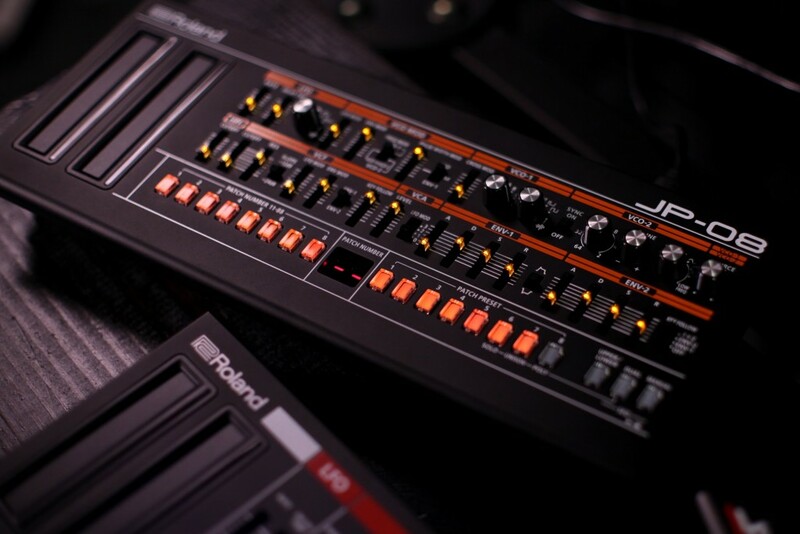 The Roland JP-08 Synthesizer Module recreates the sound of the legendary Jupiter-8 synth which adds extra waveforms and expanded VCO range. All of the of the Roland Boutique modules have an easy to use hands-on user interface that are inspired by their classically designed trademark keyboards. In more ways than none however, the Boutique line not only improves but also expands on the user interface of the originals. For example, the original JX-3P had a minimal interface and required the optional PG-200 controller, if you wanted hands-on tweakability. The Boutique version, the JX-03, inherits all 24 knobs from the PG-200, and adds additional features. Each of the Boutique synths have similarly tweakable interfaces, but tailored to their individual synth’s architecture. You can either purchase the modules with the dock (a 25 key platform) , or as standalone systems to add to your studio to use with other MIDI controllers/keyboards.